Yesterday I attended a Ukrainian Catholic church. I’ve had a growing appreciation for liturgy for several years now, and I was intrigued by their worship, but I was very distracted. I was angry, and surprised at how angry I felt. I even left for a while to cool off, but it didn’t really help. The people were lovely, but that seemed to make it worse. I realized after a while that this feeling went back a long way. When I was in Bible college I had to attend worship services from other denominations to see how their worship differed. My good friends, Bill and Anna, attended a Catholic church in a neighbouring town, and invited me to their church for the assignment. Bill and Anna were always hospitality incarnate, so I was only a little surprised to find that they had arranged for me to interview the priest in his parsonage before the service. The priest was very nice and welcoming, though his chain smoking threw me off a bit (the good Pentecostal that I am). He indulged my questions about their worship, and when the service started he introduced me to the whole congregation. I felt almost overwhelmed with welcome. There were a few things that put me off that day, and threw off the sense of welcome that I had received. There were a few distinctions, and they all had the same point: I was welcome, but I was still an outsider. It started when the priest asked me, in his parsonage, where I was baptised. I had been baptised at a Christian Missionary Alliance church, but I made sure to explain that I was a Pentecostal, attending a Pentecostal Bible college. He seemed not to hear me: “Christian Missionary Alliance?” He paused. “Yes, but now I’m P-” He resumed: “Oh yeah, I don’t think those guys are heretics. They’re okay.” He said it with a smile, but with complete seriousness. I wasn’t sure how much I appreciated his “approval” of my Christianity. When he introduced me to the congregation, it was as a missionary from the Alliance church. This threw me off. When I was baptised, it never occurred to me that I was being baptised to a particular denomination. I was being baptised with Christ, dying to self and rising to new life. I had been taught that it was merely a symbol to identify myself with Christ and remember his death and resurrection, but however my theology of baptism has changed since then, the intent was still the same: I belong to him now, and where he goes, I go. I could have been baptised in a sewer by hobos, and it would have meant the same to me. I understood when the priest asked me the question that he understood baptism as an initiation into a particular church, but I was still taken aback by it – that my baptism had to be questioned, that it was in doubt. To me, it was the same as questioning my faith, my confession, my Lord himself. I knew that no offense was intended, but it bothered me nonetheless, and blunted the effect of his hospitality. At the time, this bothered me more than not being able to receive the Eucharist during the service. My grandmother is Catholic, so I had been to Mass a few times, and I was taught back then how to receive a blessing instead. The priest on this particular Sunday was very genuine in his blessing of me, and I felt honoured. Besides, Catholics eat wafers that taste like envelopes. Plus, I knew I disagreed with transubstantiation (that the host is transformed into the literal body of Christ), and had read that the ritual involved was a kind of idolatry. I was willing to give them the benefit of the doubt on that point, but I was fine with not participating. In the intervening years, being denied the Eucharist that day has bothered me more. It was bad enough that my type of Christianity was questioned in regard to my baptism, but I realized that even though I had “passed” that test, I was still an outsider. For several years now, the Roman Catholic Church has formally recognized most denominations of Christianity, Orthodox and Protestant, but only halfway. Instead of being heretics, we’re now in “imperfect communion”, meaning that we might go to heaven as long as our beliefs are orthodox, but we’re still not really Christians. Some formulations of this doctrine also imply that we’re only this kind of half-Christian so long as we’re ignorant of the doctrines of the “one true church” (the Roman Catholic Church), rather than having rejected them. So regardless of my devotion, my learning, my works, my wisdom, any exhibition of the fruit of the Spirit, even miracles, I’d only be half a Christian to them, and be denied the Eucharist. Still an outsider. Even if my baptism is recognized (which isn’t always the case). My discomfort with being an outsider among Christians has increased the more I learn about the nature of the Eucharist, and of sacraments in general. I’ve come to understand Christianity as being primarily our participation in the life of Christ: partaking of the Eucharist is partaking of Christ himself, the Bread of Life. I’ve come to understand that sacraments are actions which embody Christ, making him known by making him take up space: in the Eucharist we take Christ’s body into our own, and are united to it. Exclusion from the Eucharist is exclusion from unity with Christ in the mystical and sacramental sense as well as the communal sense. My hurt over this (because it goes way beyond mere discomfort!) increased even more when I learned more about the Catholic understanding of justification and sanctification. They believe that, being flawed and sinful people, we are incapable of receiving God’s grace fully. As we receive grace, we are transformed by it more and more into the likeness of Christ, so that the more grace we receive the more grace we’re able to receive. And we receive grace primarily by participating with the church, particularly in the sacraments, of which the Eucharist is generally thought to be the central or chief. So even if the Catholic Church recognizes my baptism, my doctrine, my character and intent, and my ethics and works, so long as I’m not officially Catholic I am barred from participating in the sacrament that unites me with Christ and his church, and which imparts on me the grace I need to grow in grace and ultimately be perfected toward my salvation. Not only am I not able to be recognized as belonging to Christ, but I’m denied the means of improvement in that regard. So yesterday, when four or five people went out of their way to introduce themselves to me after the service and invite me into the fellowship hall for snacks, I politely declined. I didn’t want coffee cake, I wanted the Bread of Life. I was angry, but more than that, I was hurt. Their kindness, their genuine generosity and hospitality, had been completely undermined. No matter how “welcome” I was, I could never be more than a guest there. Suddenly, even the kindest people seem condescending, and I wonder if they shake their heads when I leave and pray for my lost soul. They might, they might not, and it probably wouldn’t be condescending even if they did, but it’s hard to recognize the kindness of people who are part of an organization that systematically excludes you. Today as I thought about this, I suddenly made a connection. In some small way, I can begin to understand what it must feel like to be female, or gay, in a Protestant church today. Well, in any church, but I’ve picked on Catholics enough. Yesterday my own church was talking about those verses in Timothy – you know the ones. They’re in the Bible, and I don’t doubt their importance or their status as holy scripture, but there’s an interpretation of those verses that has been dominant for a very long time, and is responsible for making women second-class Christians who are considered unworthy of speaking, teaching, or having any authority over any man, regardless of evidence of spiritual gifts, wisdom, or calling. This interpretation, if we were to take it seriously and follow its implications, even implies that Eve’s sin was of a different nature than Adam’s, that women have a different type of salvation than men (saved through childbirth, so nuns and spinsters and barren women, or the wives of impotent men, are out). If this is the case, what is the nature of a woman’s relationship to Christ? How does he represent her, and how is she united to him? Can she really even be called a Christian, or is she somehow less of a Christian? Even outside of that passage’s interpretation, there’s still systematic sexism in the church. Denominations who officially interpret such verses differently, unofficially still don’t promote women in leadership, or promote leadership to women. We have no expectations of women, we provide few opportunities to women, and when we do, few or none step up. Then we say “well, women just don’t want to be in leadership,” and we go back to grooming young men for the pulpit (but never to be a kids’ pastor, that’s women’s work!). Women can be saved, but all too often, they’re still outsiders. And what about homosexuals? In many churches they’re not just outsiders, they’re considered the enemy. In some churches they’re accepted provisionally, in a sort of don’t-ask-don’t-tell type of way. They can get along fine so long as they’re “passing” (i.e., don’t appear to be too gay, and keep any relationships under wraps, so that nobody will suspect them and embarrass the church), or if they go through therapies to repress or reverse their homosexuality. Other churches proudly welcome openly gay congregants, but require vows of celibacy, exclude them from ministry, and/or refuse them marriage. On this issue, even some of the most generous and welcoming churches have some pretty big holes in their hospitality. I realize now why there’s such thing as “gay churches” – because a church where a gay person can worship God and not feel like an outsider must be very, very hard to find. I don’t know what I think about gay marriage from a theological perspective, but I do know that most of the Christian church has failed to recognize how serious our systematic exclusion of homosexuals is. Sin can break fellowship, it’s true – but we’re all guilty of that. When it comes to fellowships being broken over homosexuality, it’s not sin that does so, it’s us. We could acknowledge our own sin, forgive them for theirs, and worship Christ together, but instead we insist on their otherness even when we recognize them half-way. So I still don’t know what I think of the theology of gay marriage, and I’m pretty confident in my theology of women in the church (and specifically in ministry), but I know that I can’t in good conscience push someone out of fellowship with God. I know that I’m sick and tired of half-measures that half-recognize half-Christians and completely ruin our unity. The hospitality of Christ is not exclusive. Outsiders: come on in! 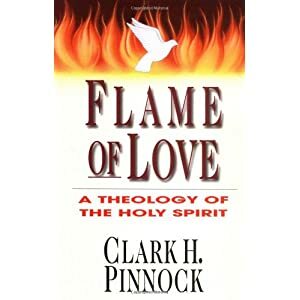 Pinnock, Clark H. Flame of Love: A Theology of the Holy Spirit. Downers Grove, Illinois: InterVarsity Press, 1996. 280 pages. Pinnock begins by defining the Holy Spirit as a member of the Trinity, emphasizing the social nature of the Trinity to not only clarify the concept of Trinity, but also to clarify the being and role of the Spirit, which is traditionally the most obscure member. The Spirit is not only active in our redemption and piety, but also in creating and sustaining the world (chapter 2); acknowledging this helps us to have a more integrated theology, as well as improving our integration of theology with science, questions of origins and death, our understanding of humanity and the human spirit, and our motivation for environmental stewardship. Pinnock then describes a “Spirit Christology” (chapter 3), framing the Incarnation and Atonement as part of a work already begun by the Spirit (in prevenient grace), empowered by and dependent upon the Spirit (empowering Christ in his kenosis), and unifying humanity with Christ to participate in his representative recapitulation, thus emphasizing the saving power of his life and resurrection as well as his death. The church is the continuing incarnation and mission of Jesus in the world, empowered and directed by the Spirit, who is experienced in the church through both sacrament and charisma, and requires both in order to be a healthy and holistic tool of the Spirit for Christ’s mission (chapter 4). Salvation is described not as a legal transaction of justification, but as a journey of being brought into union (at-one-ment) with God through the power and love of the Spirit, as evidenced in normally-charismatic events such as conversion, baptism, and Spirit-baptism, which should all be read as one event that may unfold over time rather than as distinctive events; charisma and tongues should be seen as normal rather than normative, and read in light of our growing union with God, which predates our conversion and is present in the world in God’s prevenient grace, as the Spirit works to make a new creation, part of which is forming us in the likeness of Christ (chapter 5). As for access to salvation, historic emphasis on the particularity of the mission of Christ has distracted from the universality of the prevenient mission of the Spirit, whose universal activity in the world, including in other religions, can be recognized in light of the particularity of Christ, allowing us to hope for all others (chapter 6). Pinnock finishes by describing revelation as God’s self-revealing (as opposed to liberal experiential models or conservative notions of timeless principles), mediated by the Spirit who both inspires and illuminates Scripture and safeguards it through the Spirit’s presence in and gifts to the Christian community, which is empowered to discern truth in consultation and unity with the body of Christ; in this way God’s self-revelation is both eternal and timely (chapter 7). Pinnock’s approach is a breath of fresh air: a systematic pneumatology, written for a popular audience! Doubly rare! He focuses on how the Spirit has been neglected in theology, and points out how a more robust pneumatology helps us to solve theological debates, providing a synthesis that moves us past old arguments and into “both-and” solutions, doing so without excessive recourse to oversimplification of issues or to mystery. He writes with humility, acknowledging possible arguments and seeking support from many other traditions; he may be the most ecumenical baptist I’ve ever heard of! He’s often repetitive, and I felt that the book could have been cut down by about 1/3 without losing content, but his conversational and humble tone make up for it and allow me to recommend this book to readers of every level. Sounds like a bad romance novel, I know. Don’t judge a book by its cover, or its title. Also, don’t search for this book title without safesearch on. #HamOnNye, the recent debate at the Creation Museum between Ken Ham and Bill Nye “the Science Guy”, made a lot of headlines, and not necessarily a lot of sense. Though I didn’t watch it, I’ve heard enough about it to affirm that, like most public debates about religion between Christians and atheists, it missed the point entirely (at least in my opinion). That said, debates like these have one positive function: they start conversations. This debate started a lot of conversations about Genesis, human origins, and science, and I’ve been part of several such conversations this week. Conversations are great ways to figure out what you believe, because it forces you to articulate it. So here goes: Why I Am Not a 6-Day Creationist. First, some disclaimers: I used to be a 6-day creationist. Big time. I understood the whole debate to be grounded in competing assumptions in scientific method, and tried to become an armchair scientist. This led me to embrace Intelligent Design, which seemed to take science more seriously and didn’t appear to start with Genesis and work backward toward science, as Young-Earth or 6-Day creationism sometimes seems to. Getting deeper into science was beginning to be a lot of work that I didn’t have time for, though, so I went back to my studies in theology and biblical studies, and it was there – in Genesis, not in the underlying assumptions of science – that I found a satisfying solution. Now I’m happily agnostic on the whole debate about human origins: I no longer find any tension between Genesis and science, and find scientific approaches to human origins mildly interesting at best. All that to say that I’m not going to argue for Creationism or Evolution (theistic or otherwise). I’m not going to argue about any scientific evidence, which is beyond my expertise and seems to be where the debate gets bogged down: issues of missing links, faults in carbon dating, theories of sedimentation, longer lifespans and global floods, are all vaguely interesting and completely immaterial to my understanding of Genesis. As I told one friend this week, I’m far more interested in the type of theology that these views espouse than in their scientific validity. I loved this book, back then. I’m sure I still have it somewhere. I’m sure it makes some decent points, but I think that it misses the biggest one. Another friend framed the issue for me pretty well, so I’ll try to paraphrase him: if Genesis 1-11 isn’t factually true, then the fall didn’t happen; if the fall didn’t happen, then humanity isn’t born in sin, and death is not a result of sin; and if humanity isn’t born in sin, then we have no need of a saviour. I hadn’t heard it phrased in (roughly) this way before, but that’s basically how it was presented to me growing up: if Genesis isn’t true, then the rest of the Bible isn’t true. So here’s why I disagree with each of those points, in turn. 1. Is Genesis 1-11 True? Creationists sometimes argue that if Genesis isn’t true, then the rest of the Bible isn’t true either. That’s actually very reductive of their own position, but I’ve heard them argue it, so let’s explain it, starting with what they mean by “true”. Often, the word “literally” shows up here: Fundamentalists (in the sense of the 19th-20th century theological movement, not “radicals” or “ultra-conservatives” as the media uses the word today) believe that Scripture should be read literally wherever possible. Many take this to mean that it should be read as factually true, in the sense that the Bible is read as true historical accounts that are factually accurate, having been passed down to us from the most reliable eyewitness, God himself. (After all, if we’re talking about the creation of the universe, he was the only eyewitness!) The downside of this approach is that to read the Bible this way, you must completely disregard the notion of genre. If you take the genre of the different books and sections of books in the Bible seriously, I don’t believe that a single word of it would fall into this (thoroughly modern) category. Put simply, ancient peoples didn’t read that way, let alone write that way. Even the “historical books” are highly interpreted, with absolutely no concept of “objectivity” on the part of the writers. They told their story of what happened, and often rearranged events to make their point more clearly, because their primary purpose was not to be an eyewitness but to provide a theological understanding of their history as a people – as the people of God. To read even these “historical” books as “factually” true is to misread them. A truly “literal” reading of a text must take its genre into account. The genre of Genesis 1-11 is myth. This doesn’t necessarily imply that the events in those chapters didn’t happen, but only that they were written in a particular genre that highlights truths that are much deeper than the mere facts. The facts are that God created the world, but the details of these chapters focus on revealing God rather than giving a blow-by-blow account of what he did to create the universe. The structure of Genesis 1, for example, is borrowed from other Ancient Near Eastern creation myths, notably Egyptian creation myths; this was done deliberately to show how Israel’s God is different from Egypt’s gods. Genesis 1 is therefore not only myth, but a polemical document designed to compare and contrast with other documents from the same region. The flood account of Genesis 6 does the same with many Ancient Near Eastern flood accounts, the most famous being the Babylonian Epic of Gilgamesh, one of the oldest known stories in human history (far older than Genesis). When you read Genesis in the context of the older mythologies from Israel’s region, it becomes clear that their purpose is far from scientific, and entirely about showing how Israel’s God is distinct from, and greater than, all other gods. So yes, Genesis is deeply, “literally” true – but not necessarily factually true. It could be factually true, but that would have no bearing on whether or not it were true in the sense of whether or not it reveals true things about God – which is its true purpose. Fundamentalists can apply their notion of literal or factual truth to the entire Bible because of their view of inspiration. The Bible is inspired by God, which implies that it is fully true – but the sense in which it is true depends on the sense in which you say that the Bible is inspired. Fundamentalists hold to “verbal inspiration” – meaning that God told the writers of the Bible exactly what to write, word for word. I believe that the Bible is inspired, but I don’t believe that it was verbally inspired; I believe that God speaks through human beings when human beings tell the truth, and that human beings participate with God by telling the truth at his prompting, and that this doesn’t require God to write it for us. This leaves me free to interpret Scripture in many different ways, seeing it as a collection of human-written books over a few thousand years in many different contexts and genres, and still find God within it. I should point out that a doctrine of verbal inspiration doesn’t require people to interpret the Bible as factually true, but even so, without the doctrine of verbal inspiration a factually-true interpretation of the Bible doesn’t hold up. The point here is that if you hold to this combination of verbal inspiration and a factually-true reading of the Bible, then if Genesis isn’t true the entire Bible is undermined; God must either be a liar, or not exist. I don’t think this is actually the case, but it certainly explains why some people argue for this view so tenaciously: their entire faith hinges on it. Thankfully, mine does not. The Fundamentals. There’s a big difference between Fundamentalism as a Christian movement in the early 1900s and “fundamentalism” as we hear about it today, which usually means ultra-conservative radicalism. It was an important response to theological liberalism, but it wasn’t without its problems. Start here if you want to know where creationism as we know it today came from. If Genesis 1-11 is factually true, then Adam ate a magical fruit (and I don’t mean beans) which gave him knowledge of good and evil and at the same time cursed all of humanity to sinfulness. This is incredibly problematic to me, and seems to lay the blame for all human sinfulness and misery at God’s feet: why would God even create a tree whose fruit was so incredibly deadly poisonous? Surely he’s smarter than that. That apple was more powerful than all of the weapons of mass destruction of history, because it (indirectly) created all of them. Yes, the sin was Adam’s (and Eve’s), in that they disobeyed God, but I’m not sure that a factual reading of Genesis 3 in a court of law wouldn’t end up with God being found guilty of criminal negligence causing Death. If we are free to read Genesis as myth, though, everything changes. Adam (whose name in Hebrew actually means “human” or “humanity”) is representative of all human beings. It becomes a story that describes the human condition, rather than positing a single cause of the human condition. We’re all sinful, with Adam rather than because of him. Adam represents us all, in the same way that Christ represents us all: Adam represents our sinfulness, Christ represents our redemption. The fact that Paul makes this direct comparison in Romans has been used to support the existence of a historical Adam; I think it does the opposite, highlighting Adam’s representative function – a function that does not require him to be historically real as an individual human being. If this is the case, and Adam wasn’t a real individual human being, then The Fall didn’t happen in a factual, historical sense. I’m okay with that; the implications of the Fall remain true, even if the event wasn’t factual, and a mythological reading of the text actually makes more sense because it implies that human sinfulness is the fault of humanity, and that we weren’t set up for endless torment by magic fruit. A mythological reading of Genesis 3 allows for the tree to be representative of human choice, a freedom that carries with it difficult consequences; God is responsible for giving us free choice, certainly, but that makes far more sense than God being responsible for giving us free choice and arbitrarily creating magical fruit. If the tree is supposed to be an actual, factual tree, then its presence is unexplained, and appears unwise; but if the tree is representative of choice, its presence is symbolic, and God is not responsible for giving us weapons of mass destruction. This is a slightly more serious objection. Scripture repeatedly links sin and death together, not least in Genesis 2 and 3. Adam and Eve are sent out of the garden, because if they were able to remain they would be able to eat from the tree of life and life forever. If we read this mythologically, as I believe the text requires, then the case for linking death to sin is even greater: mythologically, the tree of life is symbolic of relationship with or connection to God, who sustains our very being. This makes more sense than referring to more magical fruit, as though if someone were to find this tree they would still be able to live forever (like the “fountain of youth”). 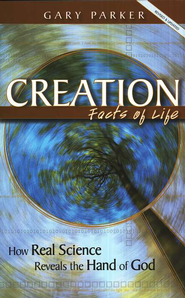 In the Creation/Evolution argument, evolutionists must deal with the notion that evolution requires a continual cycle of death called natural selection – the idea that beneficial genes are passed on because creatures with less beneficial traits don’t survive, or the so-called “survival of the fittest.” If death didn’t exist before sin, then Adam couldn’t have been the product of evolution. 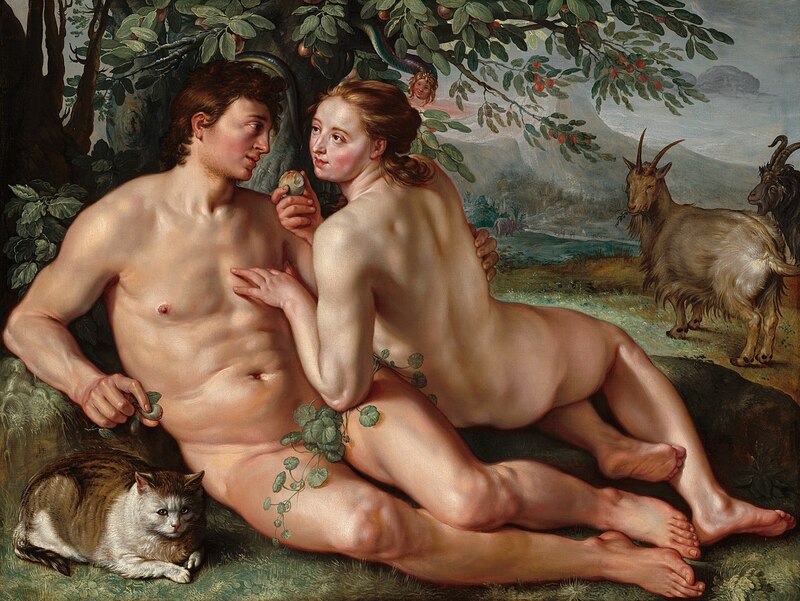 Let’s keep in mind, though, that Genesis doesn’t say that there was no death before Eve ate the fruit; God merely said “if you eat of it, you will surely die.” Even then, this is only referring to Adam and Eve – the rest of the animals, even though they’re apparently all herbivores, aren’t mentioned in connection to the tree of life. There’s nothing anywhere saying that they can’t die, or that they weren’t dying for a very long time before Adam’s sin. So while this objection may appear troubling for evolutionists, I don’t think it’s as strong as it’s made out to be. Some turn to Romans to make this argument, referring to Paul’s comparison of the old Adam and the new Adam (who is Christ). Paul says that through Adam we’ve received sin and death, and through Christ we receive forgiveness and eternal life. As I mentioned before, this compare/contrast doesn’t necessarily imply that Adam was a specific, historical individual, as Paul was trying to highlight him as representative of humankind; in the same way, I don’t think that this comparison implies that Adam’s sin invented death in a general sense, but only that Adam’s sin caused death, and even set a pattern of death, in contrast to Christ who brings life. Eating the fruit didn’t cause immediate death, and nowhere is it implied that there was no death before the eating of the fruit. (Surely there was at least plant death, as all of the animals ate plants. Did any eat insects? Do they count?) Does that mean that sin is unrelated to death? By no means! Death is very, very often the result of sin – and sin very often leads to death, indirectly if not directly. Human conflict comes from sin, always. But did sin create viruses? Did sin create harmful bacteria, allergic reactions, natural disasters? Genesis says that God kicked humans out of the garden to cut them off from fruit that would sustain them forever, implying they’d never get old – but what if Adam fell off a cliff? We’ve traditionally interpreted Genesis as saying that all “natural evil” (illness, natural disasters, etc.) were part of the ground being cursed, that nature itself (including human nature) was somehow tainted by a single choice of disobedience. That’s a pretty big logical leap from what the actual text says (it relates the “curse” to the difficulty of farming, not the advent of earthquakes and viruses). The text itself is so vague that it ought to suggest to us that it wasn’t intending to factually retell the beginnings of all painful or damaging things. It doesn’t really comment on “natural evil”, because it’s focused on moral evil – sin and disobedience, and the hardship that they cause. So again, reading the text with the text, picking up its cues and emphases, leads us away from the problematic argument and toward a more simple and theologically sound exploration of the nature of God rather than the natural world. In short, then, I’m okay with there being death before the Fall. It doesn’t make sin less sinful, or less harmful, to say that not all death is caused by sin. I think that this is a big logical leap. I’m sinful, whether Adam was a real guy or not: I don’t need to have been ‘born in sin’ in the sense of having inherited a sinful nature from a specific historical person who ate magic fruit in order to need a saviour. I need to be saved because of the choices that I’ve made, and even because of the choices that others have made, whether or not a historical Adam ate fruit. It’s been argued that if we weren’t born with original sin, which seems to be some sort of spiritual-genetic predisposition to sin, then it would be possible to be perfect and therefore wouldn’t need a saviour. I say that it is possible to be perfect (the Bible actually tells us to be perfect, several times), but that doesn’t mean that anyone (other than Jesus) is! We have enough food to feed everyone on the planet, but people still go hungry; we have the resources to eliminate poverty, but there are plenty of poor people; we have the technology to live sustainably, but we still burn coal and indulge in excess. Due to the systematic nature of the effects of sin, even if a lot of people were perfect they’d still need a saviour! I think that this objection only works with a very specific notion of salvation (individual spiritual salvation from hell), which only reflects a tiny bit of what God is working at in this world: a whole new creation, new society based on reconciliation and new relationships and structures, a place with no more sin and death. If you see salvation in a more holistic light, it becomes clear that the most perfect person in this imperfect world still needs a saviour. To sum it up: I think that if we read Genesis in light of its genre (myth) and context (ancient near eastern myths and cosmologies) we have no basis for scientific theories in it. It’s simply not about creation science, which makes it a very shaky foundation for creation science. The implications of this are only theologically threatening if we hold to a certain type of hermeneutics (modern Fundamentalist notions of reading all texts as woodenly “literal” in the sense of objectively and historically factual), a position which is exacerbated by its combination with a certain approach to the doctrine of inspiration (verbal inspiration). It doesn’t necessarily have any negative effect on our doctrine of sin and death, and certainly not on our need for a saviour and our doctrine of salvation. Far from being problematic for other doctrines, I think that reading Genesis mythologically makes much more sense in light of the world as we know it, relieving tensions caused by reading the text in light of certain philosophical assumptions (determinism, etc.) and leading to a more holistic and integrated theology that allows for greater input from other fields, including science. In other words, if we stop trying to turn Genesis into science, we can allow Genesis to speak for Genesis, science to speak for science, and God to speak in all things.